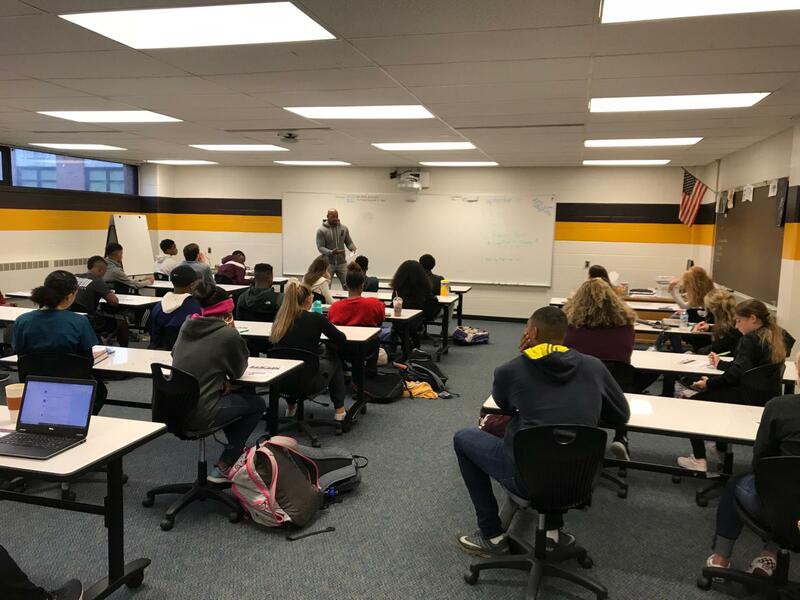 As part of his ongoing Arc Elite Student Leadership Program, former Brush High School, Ohio State University and National Football League standout, Roy Hall, recently convened students from Brush as part of the first session of year number two with the SEL Schools. 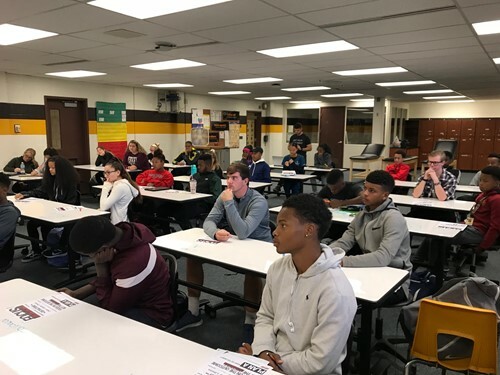 In total, more than 30 students from grades 9 through 12 were in attendance at a forum conducted in the Arc Fit Complex to listen to an introductory message of the vision, mission and plan for this year’s program. Roy Hall has committed to meet with the Arc Elite group at Brush High School throughout the year, generally in the early hours before the school day begins. Roy’s ultimate goal is to be meeting and mentoring students on a weekly basis in the district. The SEL Schools thanks Roy Hall for his dedication to his high school Alma Mater and for the leadership he is working to instill in our students.